All Youth events are on Friday nights from 7-9pm in the Youth Room unless otherwise noted. After iConnect wraps up, Grade 7s can join us for our remaining youth events starting May 12. Please note that Consent Waivers are required to participate in Friday night events. Bring yours to the next event you attend - one form covers all events until the next school year starts. Download here. This human scavenger hunt is back! We are heading to Ikea Richmond, where you will work in teams to track down your leaders in disguise. Meet at Ikea (inside main entrance from covered parking lot) OR sign up for a ride leaving from the church at 6:30pm (sign up no later than March 29 with Amanda so we can arrange drivers). We are looking for parent drivers and volunteers. Join us for games, worship, message and small groups. This week, Sarah and Marni will be sharing about their recent trip to Israel! There is no Friday night event this week—enjoy celebrating Easter with your families, and we hope to see you at church on Sunday April 16! It’s back! Bring a friend and get ready to outwit, outplay and outlast in this overnight event. Work in teams to compete in games for rewards or elimination. Once eliminated, we will have other activities running in the church. The Sole Survivor will be announced the following morning at breakfast. Cost $5 per person—newcomers play for free. Join us for games, worship, message and small groups. Invite your friends and get ready for a crazy night of church-wide Nerf wars!! Nerf guns provided for all players. Join us for games, worship, message and small groups. Grade 7s who have finished iConnect can start coming to youth on May 12! 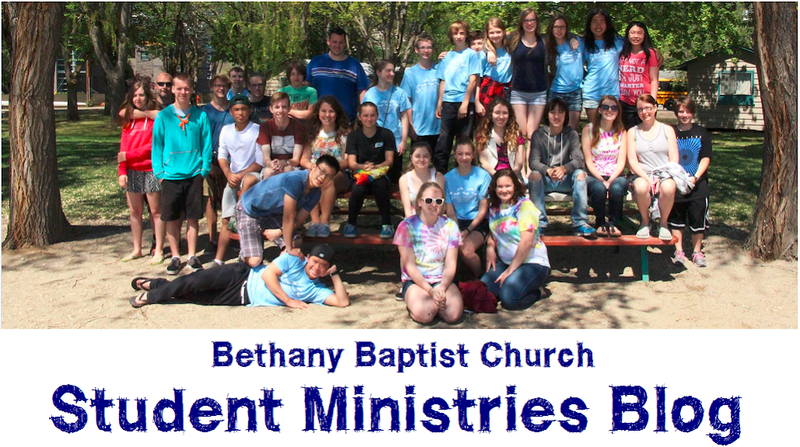 Our annual youth retreat at Green Bay Bible Camp for Grades 7-12. Pick up a registration form in the youth room OR download and print from our church website. Earlybird deadline April 16. Chapel Movement is a collection of Lower Mainland youth groups who get together to worship in their local areas (Richmond, Vancouver, Langely, Tri-Cities, etc.). We are ALL joining together for a massive night of worship and great speakers at Westside Church to end the school year!! We will rent a bus to take all students from the church to Westside and back OR you can meet us there (777 Homer St., Vancouver). RSVP to Amanda no later than May 25. This event is subject to change—if cancelled, we will do an Alive night instead. Our last event of the school year! Bring a friend, wear a costume from the 80’s, and join us for food, 80’s themed games and music, prizes and more!! In May/June, watch for information about the School’s Out Playland Party, Crossover Week (July 3-7), Youth Camping, and other upcoming summer events!